Immersion - is it just me? I don't make a habit of promoting products, but this bit of news is too good to pass up. 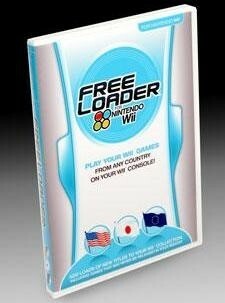 Codejunkies has released Freeloader for the Wii, a cool utility that enables your Wii to play games from any region. So now Europeans can play USA region games, Americans can play Japanese region games, and we can all live in blissful harmonious unified peace whenever we play with our Wiis. There's still no way to avoid that joke, is there? 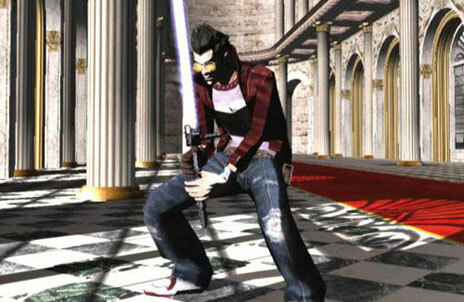 After my last podcast I received many disgruntled (OK, some of you were furious) emails from European listeners reacting to the fact that their version of No More Heroes would be censored to remove the bloody visuals from the game. Instead of Suda's gloriously over-the-top fountains of hemoglobin, Europeans (and Japanese) players are treated to an odd mix of spewing coins and black specks. As far as I know, coins aren't prone to spewing, but such are the nuances of censored gameplay. Now you can play No More Heroes in all its stylish gore-fest splendor, no matter where you live. Freeloader also unlocks imported Gamecube discs played on the Wii. You can find out more here.